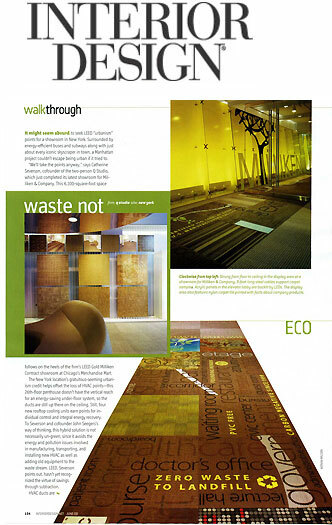 Milliken New York Showroom published in Interior Design magazine. Floor covering manufacturer Milliken Contract recently unveiled a new showroom in New York. Best Large Showroom & Best of Neocon 2007, IDA & Contact Magazine. Click the Videos tab and click on the Environment to start the loop. The story is titled Save the world and a lot of money.